When fans and players rank the games in the Grand Theft Auto franchise, Grand Theft Auto: San Andreas often comes out on top, and you can now enjoy that game every day with the Grand Theft Auto: San Andreas Homeboys screensaver. 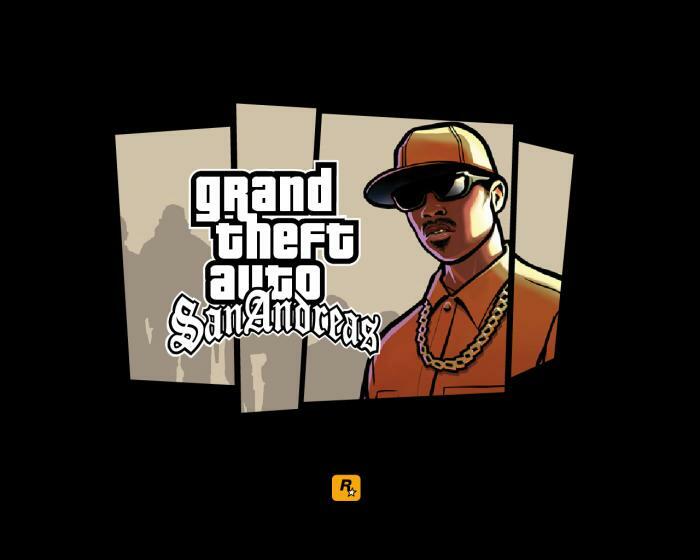 Grand Theft Auto: San Andreas followed the adventures of CJ, a former villain who later turned good. Though he left San Andreas behind, he found himself coming back to the city after the passing of his mother. Hoping to put his old life behind him, he instead found himself caught up in the adventures of his old crew. While you had the chance to play as CJ, you also completed missions relating to other characters like Big Smoke and Ryder. As you played each character, you completed a new and distinct arch that let each one shine. The main story in the game surrounded CJ's old gang and how a new gang swept into the city and took over. As you worked your way through the game, you were responsible for stealing cars, racing other characters and earning money to help your old gang succeed. The game also included side missions that allowed you to explore other areas of the city and score more points and cash. One of the top features that players love about Grand Theft Auto: San Andreas is that it let them customize all of the vehicles they earned, stole, and bought. Not only can you change the paint job on one of those vehicles, but you can also add a nitro boost, change the engine, and buy upgrades. When you play the game today, you'll also find missions that let you go up against rival gangs, chase a helicopter through the city streets, and evade the police on your tail. This Grand Theft Auto: San Andreas Screensaver takes the same screen that you see when you load that game and turns it in to a screensaver for your computer. You can adjust the settings to determine when it comes on as well as how long it runs before your computer enters hibernation mode or shut down mode. It also has a fun look and downloads quickly. If you want to play the game, you need to download a copy of it. This is just a screensaver based off that hit game.